Bravely Default was a surprising game for a number of reasons. Innovation was not one of them, but creating a truly solid JRPG experience definitely was. The game’s success shows that gamers do actually care about good JRPGs even in this day. So what was so good? Where were the missteps? And where does that leave us? Square Enix is not a new player on the scene. In fact, back when they were Squaresoft, they were already making JRPGs that, to this day, rate as some people’s best games of all time (most notably Final Fantasy VII). What is unique about Bravely Default is that it really embraces those days of JRPGs rather than the more modern Final Fantasy hybrid action and JRPG games. And it really works here. The story starts out a bit different with a lot of mystery to keep the plot going. A giant chasm just opened up and swallowed the home town of Tiz, one of the main characters. No one has any idea what it is or where it came from. With everything and everyone he knew and loved gone, Tiz vows to close the chasm and rebuild his town. Along the way, he signs up to rid the world of evil too. It’s a fairly classic tale but with the mysterious twist that I think goes extremely well with the game. I enjoy how the story is interesting and direct about what you are doing. Not only does the game provide markers on the map for where to go (which can be turned off if you don’t want that), but it also provides a one sentence hint for context to also help you with what your next task is. It’s a subtle thing, but I never got lost and it helped to remind me what was going on even after not playing for a while. But as a classic JRPG, the story is only half of the experience. Battles and customizing your characters for battles is the rest. 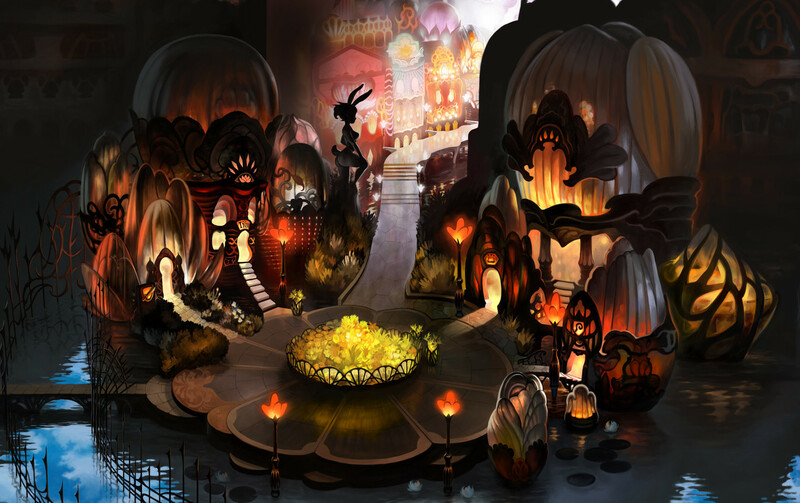 And Bravely Default does well here by not trying to reinvent any wheels really. The combat itself is all turn based with speed determining the order of characters and enemies. There are standard and special attacks and magic and so on as one would expect. The slight difference is there is also the concept of “Brave” and “Default” (the title now makes more sense, but is lame). Default is another word for defend in any other game, but it also gives you one Brave Point (BP). Brave is essentially the opposite; it allows you to burn additional BP (up to 3 additional) to preform other actions. Most actions do not take additional BP, but some do as well. Besides defaulting, every round gives each character 1 BP back. This means you can do 1 standard action each turn and never have to wait or go all out and not have another turn for a while if you do not eliminate all the enemies. The system is fun especially for someone like me who likes to grind. I just enjoy the numbers going up and seeing my people get stronger and that tends to make me overleveled. With the option to Brave and wipe out all the enemies quickly, that makes things much nicer. Then you can combine that with the fact that you can speed up battle animations to make the battles faster as well as go into “auto” mode where your characters will repeat the last commands to the best of their ability (any action they can’t do because of running out of MP, for instance, turns into a standard attack. There is at least one bug I noticed here where the game can make mistakes understanding what you can or cannot do if things get complicated enough, but never game breaking). This all is benefitted from also having an extensive job system. The game has 24 jobs that eventually unlock, though some of them take a while. Even better is that, though your equipped job is what gives you your base stat changes, you can equip any unlocked passive skills from any class and specify a second job’s active skills to also have available. This opens up many more builds to encourage playing around. And each job levels separately again giving a numbers-go-up satisfaction opportunity. And just for an added bonus, the game is beautiful. The backgrounds especially are great to look at. Add to that some great music and generally voiced dialog (extras like towns people don’t get voices, but otherwise all of the lines are read out well overall). The experience is enjoyable to just behold. Bravely Default is also surprising in some ways. It seems to understand what it wants to be and builds for it. Just the fact that there is auto attacking and fast forward seem to understand that you will see repetitive combat which people will like without making it a slog. But it’s actually the story where I see some of the most progress. There are good characters that seem to do bad things and bad characters that think they are doing right. There’s a lot of gray area that the game doesn’t ignore and doesn’t seem to want you to think that just because your characters made a choice that it was immediately right. Those changes really are what make the story so much more interesting to me. There may be a concept of evil, but the characters tend to be much more nuanced. And that is a great step forward. Besides just growing up, as a classic JRPG, this also embraced the Street Pass feature in the 3DS to a great end. As I said before, the game starts with the home of Tiz becoming a crater. There is a minigame where you recruit people through street pass and they come help you rebuild your town. You just have to allocate people to different buildings and then come back later in real time. It is decently satisfying and the game even allows you to find some friends through the internet in case you don’t have a lot of others around you with street pass. What I find to be great especially is this entire minigame is optional. There are some nice bonuses from it, but you don’t need them. The best gear in the game is actually just given to you later anyway. But nothing is perfect and Bravely Default has plenty of things to make one less happy with the game. Even some of the positives are double edged swords. In somewhat of a reverse order of the pros, here’s looking at some of the other sides. The rebuilding the town minigame not only isn’t needed, but it doesn’t particularly help you at all. There really is no sense of achievement when you finish the town (which I did within the first week partially because you can take villagers from the demo into the real game, a great feature). Not only can you get better gear in the game eventually for free (it is late in the game, I’ll admit), but you actually don’t need gear in the game pretty much at all. I beat the final boss in the game with three out of my four characters having literally nothing equipped (because there is a passive that makes you very strong in that state). The only part of it that is somewhat useful is being able to make your special attacks better. Even that is only helpful because the town lets you unlock a 40% damage boost for your special attack just because. By the end of the game I wasn’t using special attacks either though. I feel this could have been made better by just giving some extremely hard to unlock tasks but that might have given amazing gear or skills. Alternatively, treat it like a side quest and unlock story and maybe another job. As it is, though, it’s something you can leave in the background and update it, but nothing much ever comes of it. There are multiple times in the game where it seems like the characters aren’t listening to themselves. This isn’t even where the main story is written so that, if you didn’t do any side quests, your characters wouldn’t know something that is revealed there. There are actually main story events that your characters just forget even if they revealed them to you. Two large examples that I’ll be vague about because the details are important to the story (which is still overall good) were down right cringe worthy. There is a series of events you end up doing a few times. Each repeat time, your characters are surprised over and over about the same thing. I accept the first time they wouldn’t expect things. The second time they might not expect it to be just like the first. But the next few times? They just never seem to learn. The worst offender is the big twist in the game. The game, at multiple points, essentially tells you what it is. It actually spells it out at least one time in a conversation between two of your characters which leads to one of them having and explicit other conversation with another. And this twist should shake their beliefs and mission up by knowing it. Not only do they not seem to take the logical next step and revise the mission, they also are surprised when the twist actually is revealed. They don’t dwell on that fact too long, but it feels like they might have written the scenes in question separately and never actually realized that they didn’t make sense together. The repeating task I mentioned above does make sense in the story. It doesn’t make sense from a gameplay perspective to do it as many times as you do though. It seems as though the developers thought the game was too short? But for me, the repeat of the task was taking approximately a half hour to do again. It really only added pit stops along the way and nothing else. The cut scenes were taking longer than the boss battles. And the cut scenes repeated. This was driving me crazy by the end. It’s good that I knew I was almost done with the game because the scenes weren’t needed, repeated, and took too long. And I don’t even mean repeated like the endings to Mass Effect 3 were just different colors with tiny differences. These were verbatim repeats with the same surprise, same questions, and same answers. Yet the characters didn’t seem to notice. Some re-use can be acceptable, but this was just bad. And a lot could have just been cut out. I admit I grind, but before I even got to this point in the game, I had sunk 60 hours into it. It didn’t need padding. And that is ignoring all of the side quests I just started skipping at the end because I knew they fell into the same or a similar camp. I will admit that different people like different play styles in games. That said, there are 24 jobs in this game. Just by the numbers, any one character can only have 1 job equipped, 1 job’s active skills equipped, and up to 5 passive skills equipped. That means that, if you never wanted 2 things from the same job and were using 5 passive skills, only 4 things would repeat across all 4 of your characters. I actually only used 5 different classes (all the same) on my 3 DPS people (with one as an afterthought) and 4 on my caster. This means I only cared about 9 of the classes at all leaving 15 as essentially extra for me (though I did max out 22 of them for completion). Many jobs seem rather similar to others ,and the minor variations seem like they could have just been a part of the original job at no loss. I did like the side quests, but I dislike having some aspect of the game that is a waste of time. One way I feel this could have been improved was to have something that happened to a character truly as a passive effect for leveling jobs. Passive abilities are generally equipped in the game, but if there was an ability (even just a permanent stat change) that was unlocked by getting a job to max level, it would feel like it was worth something. As it is, you open another choice you are more likely than not to just not care about. This will sound like quite a nit pick, but it comes up quite a bit as the game goes on. When you are not in battle, your characters have all the active and passive abilities you have equipped for battle and nothing else. One large place this comes up is with white magic for healing. It is common to want to heal between battles, but it is also likely that if you have someone who was a max level white mage that they have a different job currently equipped. This means that if you want to heal, you have to change that person’s job back to white mage, probably change their passive skills to match so you don’t waste mana, heal, then swap back again to what you want them in for the next battle. This just feels like a waste of time. When I’m just in the menu, I feel it is safe to just give every character all of their passive skills and abilities and then have equipping really just apply to battles. Since there is no cost for the re-equip, it is just time. And there is no fun to be had with just shuffling things around because you have to. Bravely Default is not a perfect game. But in the end, I do really think it is fun. I wish it didn’t have all the flaws it does, but by the time they really show up a lot, you’re likely invested in the game. And in the end, it being fun is what is important. If you do like JRPGs, you should give it a try. There’s even a good and representative demo available. And given that the success of this game changed the future of Square Enix, I would argue that, in fact, demos only hurt bad games. 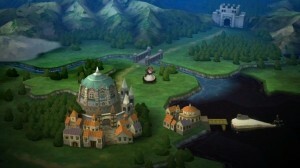 Bravely Default is a fun game for those who enjoy JRPGs. And even more than that, it gives me hope that we will actually see more new JRPGs that are worth playing.